With our beautiful location, excellent hacking and attentive staff, our livery yard is the perfect place to keep your horse and enjoy your passion to the full. We have thirty-eight boxes available for livery in our main barn and across the yard in our new stable development, The Beeches. We offer a range of livery options from DIY to Full Livery and can tailor a package of assistance to work around you and your horse's needs. Our livery yard is BHS approved, so you can expect safe, well maintained, facilities and excellent horse husbandry and management. The livery yard has someone on site 24hrs per day, every day. The stunning Beeches development, completed in 2014, comprises of an American Barn with fourteen stables and a further six outdoor stables arranged around the stable yard. 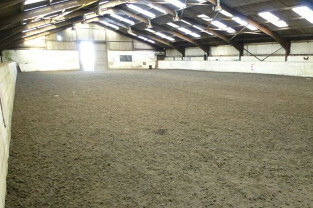 These high specification stables all have automatic water drinkers and private, secure tack rooms that are fitted-out with metal feed bin, saddle and rug racks and useful shelving. All of our boxes are a minimum of 12' x 12' and are rubber matted. The development added a much-used recreation area for liveries with hot and cold drinks and snacks available. We do not compromise where the health and welfare of your horses is concerned and have worked with local vets to produce a biosecurity policy to protect horses on our yard from infection and prevent the spread of infection should one occur. 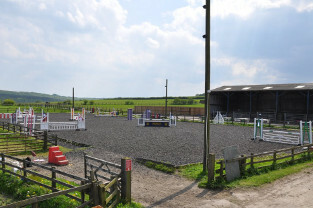 All horses coming to Ivesley must have a valid passport and have up-to-date vaccinations. 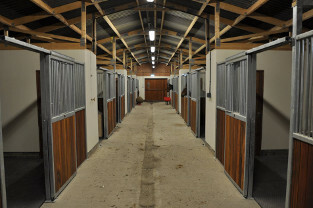 Over and above this, all horses coming to livery at Ivesley must have a clear Strangles test before arrival and are initially quarantined in a separate isolation area. To discuss keeping your horse or pony at Ivesley, you are welcome to call us on 0191 3737220 or pay us a visit.